EK’s MVXZ2 Quadra-X Ring chain is the ideal O.E. 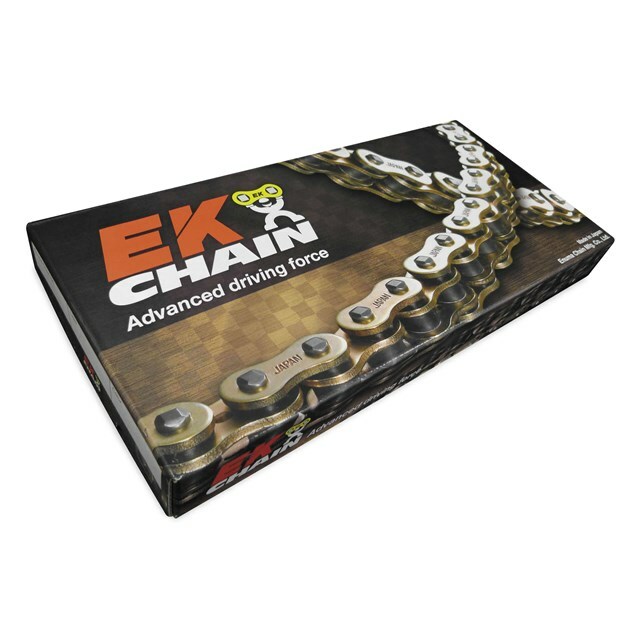 replacement chain for any 750 to 1000 cc street bike. Features like lightening holes in the sideplates, large-diameter pins, and friction-reducing Quadra-X Rings help ensure high-performance and from 1-1/2 to 2x increased wear life when compared to a standard O-Ring chain. Average tensile strength 9,000 lbs.